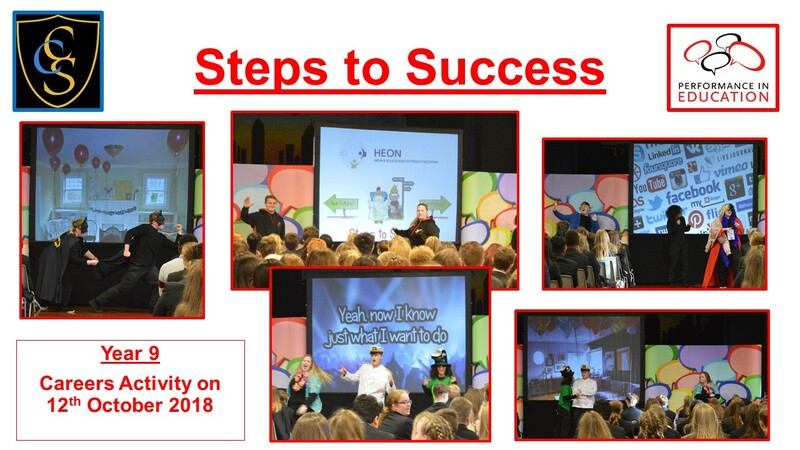 On the 12th October, we welcomed Performance in Education to the school who performed a piece about Steps to Success for our Year 9 pupils. The performance was lively, informative and very cheesy! It outlined the different steps that can be taken after GCSE's and made it clear that any option taken can lead to great success. Photos of their fantastic performance below.